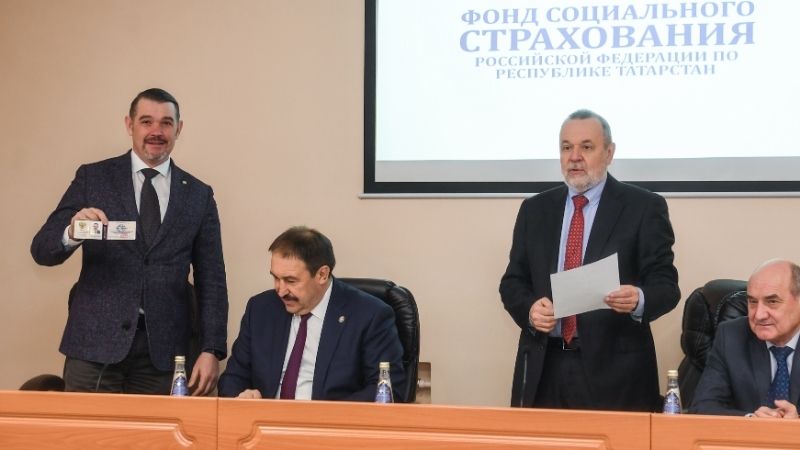 On March 15, Tatarstan Prime-Minister Alexey Pesoshin introduced a newly appointed head of Tatarstan Department of Social Insurance Fund of the Russian Federation Pavel Lokhanov, the former head of Kamskoe Ustye region of the republic, to its staff. Pesoshin congratulated Lokhanov on his appointment and noted that he has great experience in various positions in the republic. He noted that the new head has a number important tasks to be implemented. Pesoshin also thanked a former head of the regional department Ramil Gaizatullin for his work and handed in Letter of Gratitude of the Cabinet of Ministers of Tatarstan for the dedicated work and a significant contribution to the development and improvement of the social insurance system in the republic.